Tabletop jogger reduces static electricity and paper sticking for easier processing. Great companion for high-speed copiers, folding machines, printing presses, cutters and perforators. Jogs one ream of 8-1/2" x 11" or half ream of 8-1/2" x 14" paper. 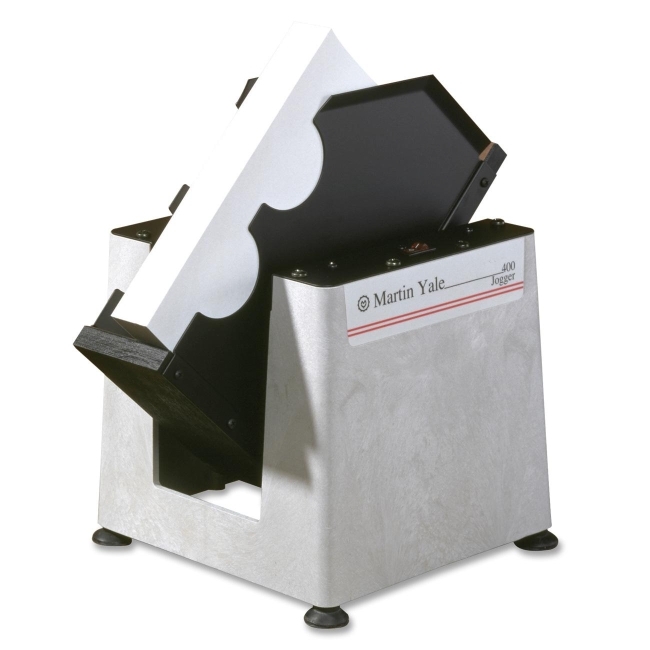 Helps eliminate static electricity and paper sticking for easier processing by producing high vibration.